Bharatiya Janata Party (BJP) MP Gopal N Singh">Gopal N Singh on Sunday said his party gave too much importance to Yashwant Sinha and Shatrughan Sinha which made them arrogant. Singh said both Yashwant and Shatrughan often spoke against the Centre because they think that the BJP is dependent on them. "The party gave too much importance to Yashwant Sinha and Shatrughan Sinha which have made them arrogant and believe that the party is dependent on them," Singh told ANI. 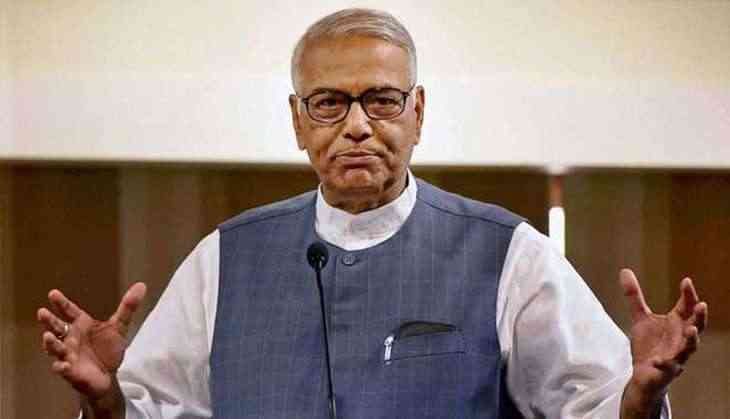 Yashwant quit the BJP on Saturday, saying that he felt the democratic institutions in the country were being undermined. Singh countered his reason, saying that the former was merely expecting a higher position. "I think he (Yashwant Sinha) was expecting a higher position after his son (Jayant Sinha) was made a Minister. When his wishes were not fulfilled he started bad mouthing the party. He thought doing so would make him relevant, but Narendra Modi doesn't care for such people. So, his unfulfilled wishes put him in a state of frustration," Singh said. Coming down heavily on Shatrughan Sinha, who actively critiques his own party's government and also supported his ex-party colleague's decision to quit, Singh said, "Shatrughan Sinha has no existence in politics. He has no contribution in the development of Bihar or the country. When he was in Atal ji's cabinet his conduct was questionable- he used to lodge at a five-star hotel despite having a house in Patna. This time too, he wanted to be in the cabinet and he thinks that he can take a negative approach and blackmail the party." The actor-turned politician was present at the event in Patna where Yashwant Sinha announced his resignation. At the event, the former refuted rumors that he too was leaving the party and even dared BJP to take action against him.